Have you ever been told you “have to” do something? If you’re anything like me, nothing makes me more contrary than being told what to do … or worse, what to think. I was at a trade show, and wandered up to a harness seller and asked after a leather harness for a Miniature Horse. “You don’t want leather,” she said. Right away I was cranky, and definitely wasn’t going to buy. She proceeded to launch into a lecture on the benefits of synthetic harness, which I wasn’t listening to at all by then. I never did buy any harness from her, and the whole exchange could’ve gone so much differently. If she’d simply said, “I don’t carry much leather harness, because I prefer the synthetic. Do you know much about betathane?” Then I would’ve loved to learn more about her point of view! She might not have changed my mind, but she would’ve gotten a lot further than trying to tell me what to think. This phenomenon of being told what to think seems to be extra common when you ask what to feed your horse. If you ask in your friendly neighbourhood Facebook group or forum, chances are good that your’ll get a zillion comments from well-meaning people who give you absolutes. Not only are these statements not true, they’re not helpful. There’s no context. Even if someone tells you exactly what they feed their horses, and it’s great for them, and their horses are healthy and look amazing … that might not be anything like the right thing to feed your horse. Or it is, but they’ve given you brand names of feed that aren’t available in your area. And feeding is important. There’s no point in trying to perfect your grooming or training if your horse isn’t healthy. And health starts with proper nutrition. That’s why the first course in the online classroom at MiniatureHorsemanship.com is on Feeding Your Miniature Horse. It isn’t going to tell you what to do, and it definitely isn’t going to tell you what to think. Instead, this course gives you a base of knowledge and understanding, so that you’ll be able to make educated decisions based on your own horse’s requirements, and the feed options available to you, within the management system that works for you. With knowledge of equine digestion, comprehensive understanding of feed sources available, and most importantly the tools to monitor your feeding program, so you know when adjustments need to made, you’ll be able to make educated decisions to feed your horses as individuals. Starting today, you can access all the materials for the course, including 6 modules containing over 4 hours of video content – both slide based teaching videos and hands on instruction, printable cheatsheets, pdf versions of all slides, and links to additional reading material. 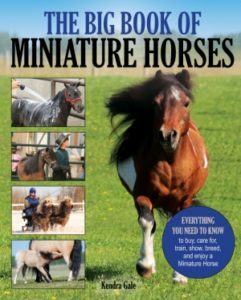 You’ll learn all the basics of feeding Miniature Horses, how to monitor your horse’s body condition – even through a winter coat – and specific feeding considerations for every demographic of Miniature Horses: young horses, senior horses, broodmares, show and performance horses, as well as horses with special health considerations. As a special, introductory offer, you can gain unlimited access to all the material – including any updates or supplemental information that is added anytime in the future – for just $75. And for a limited time, when you register for the Feeding Your Miniature Horse Online Course, I’ll send you a special discount code that will allow you to register to become a member of the Miniature Horsemanship Private Community for one year for free! That’s a $40 value, included access to our private community of like minded Miniature Horse lovers, participation in the Barn Aisle, a monthly live Q&A, and free private content from myself and special guest experts. All included when you register for the online course! You’re just a few clicks away from gaining the tools to make the right decisions for YOUR horses – this course will let you do you!